I belong to a "Vegan Foodies" group on Facebook. 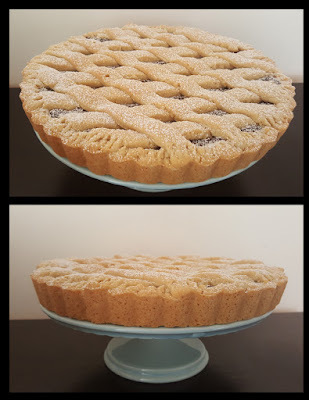 Each week a theme is set,and members are invited to post foods within that theme. It is just a bit of fun, and completely optional. 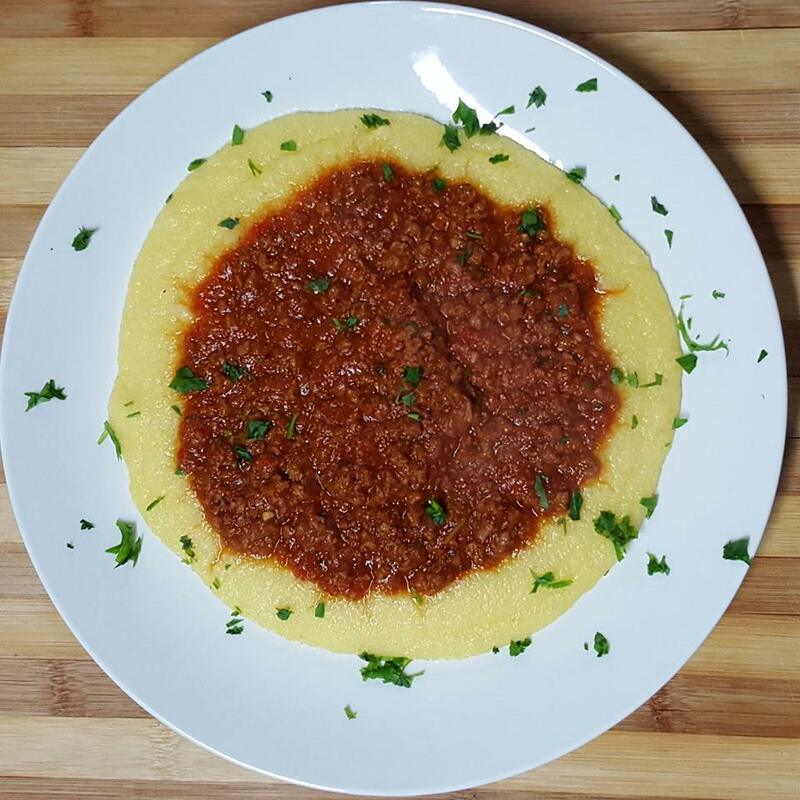 So here is my Polenta Bolognese. This is how we eat it in Uruguay, well except that this is my vegan version. My whole family adores this! The sauce below can be used for polenta or with pasta. I make a big batch and freeze leftovers. Heat oil in a pan, and add onion, sauté until translucent. Add mushrooms and stir for two minutes. Add garlic, zucchini, capsicum and cook for two minutes. Add TVP, passata, water and herbs. Add salt to taste. 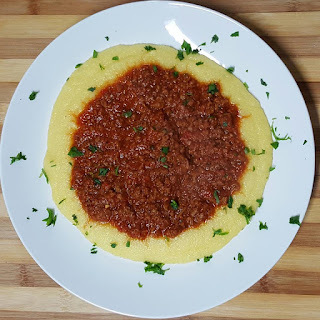 Serve on top of polenta. NOTE: Cook the polenta as per packet instructions, if the polenta is too firmed when cooked, add a little water, you want it to spread out on the plate when served. I never remember to make polenta but I really like it. I'll give this a go. I've never used that much TVP in a recipe before so I imagine it makes a very hardy sauce!